Anastasia Moloney reports how Joaquin Niijbe, born into the last known nomadic group in Colombia, spent his boyhood roaming the jungle hunting monkeys. Life changed when FARC rebels forced his community off rainforest grounds. Now a leader of the Nukak Maku micro-nation, Niijbe witnessed the clash with the modern world & the loss of homelands where his ancestors' lived for thousands of years. Since emerging from the jungle, half naked & carrying blowpipes, the Nukak fear losing their entire culture. “In our lands we have everything we need, fruit trees, fish, animals. Our territory is like our mother. The spirits who protect & defend us are there," says Niijbe. On average, people who dwell in rainforests work 15 hours a week to hunt & gather their keep. Compare that to urbanites from Beijing to SF & Paris toiling 40+ hours. Today the Nukak inhabit settlements. Corrugated sheets replace thatched palm-leaf roofs, garbage strewn about, radios blaring, pop soda & government food + education substitute for wild berries, spear-caught fish, & the library of the forest. Resettlement means grappling with once alien concepts like borders, private property, & money. Such change naturally produces anxiety & stress, along with a deep sense of loss. "When we live on our lands, we get knowledge. Now we don't." Niijbe now wears assimilation: jeans, mobile phone & Spanish. Luis Fernando Arias, head of the National Indigenous Organization of Colombia (ONIC), says mental stress stems from a lack of balance & harmony between heart & mind: "When there's a rupture, a disconnect, a break away from our spiritual lands, the heart is in one place & the mind in another. That's the reality the Nukak face, which causes what you would call depression". No worries. The UN Refugee Agency has a prescription drug for that, approved by the WHO (World Health Organization). The Nukak used to roam every 10 days or so, moving with the seasons, crossing vast stretches of jungle terrain & snaking rivers. Currently they’re sedentary, which causes, ironically, uncertainty & emotional instability. Example: displacement drove one leader – Mow be -- to suicide using barbasco, a poisonous potion made from tropical plants. Colombia’s vintage cacáo groves also face an uncertain future. Govt programs & breeders transform the landscape with the “new & improved” types. The typical M.O. : find a handful or more varieties – local &/or imports – graft, cross, set up nurseries, propagate. Then exchange best practices (both pre- & post-harvest) online & offline at conferences around the world in a process of standardization for global convergence. 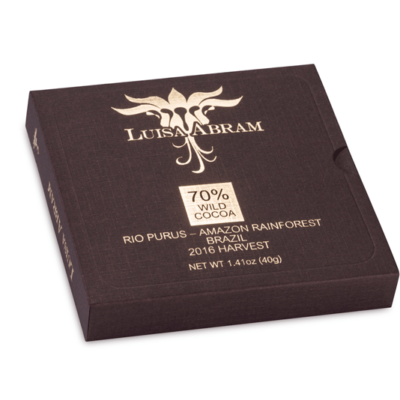 Call its flavor profile the emerging international or universal-blend (cocoa base / earthen middle / fruit topside). This bar attests to remnants of the old-time cacáo genericized with the newer hybrids. Thankfully it fell into the hands of the caring Fruitioners who say to hell with heavy sweetening & place this cacáo on a high beam in an ode to its vanishing forest DNA. 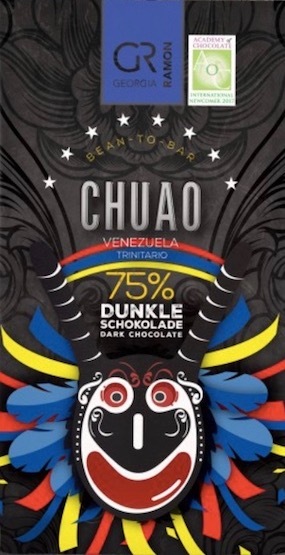 85% cacao-content plots it right at the fulcrum of insurrection & saccharine. Inviting for the percentage &, moreover, for the first batch -- the equivalent of beta. Then again, an accomplished barsmith like Fruition probably snacks on this while sleeping, then adjusts the parameters in the dream stage. Here the balance of the processing falls seemingly on the roast over the conche. What starts with a clean fermentation at the source cuts thru with some background forest points before finishing on a coffee-cocoa bender. Damn this int'l-blend stuff could be from anywhere. Tastes pretty fine though. A tell-tale residue of the origin: the softer, subtler side of cacáo which Colombia historically accommodates, particularly for a chocolate in the 80% class. Intense, structured & quite defined but none overpowering -- a rare combination. 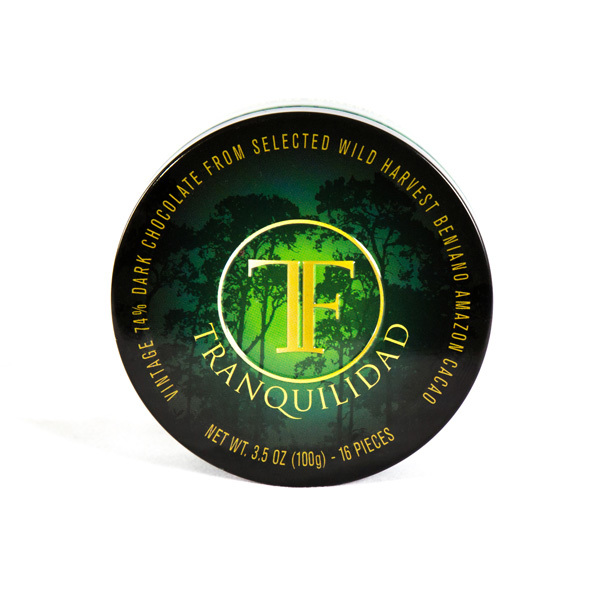 Beyond the genetics, think of it as a geographic cross between Esmeraldas (its neighbor to the south in Ecuador) & Maracaibo (to the east in Venezuela) with a broader range herein of flavor tags.